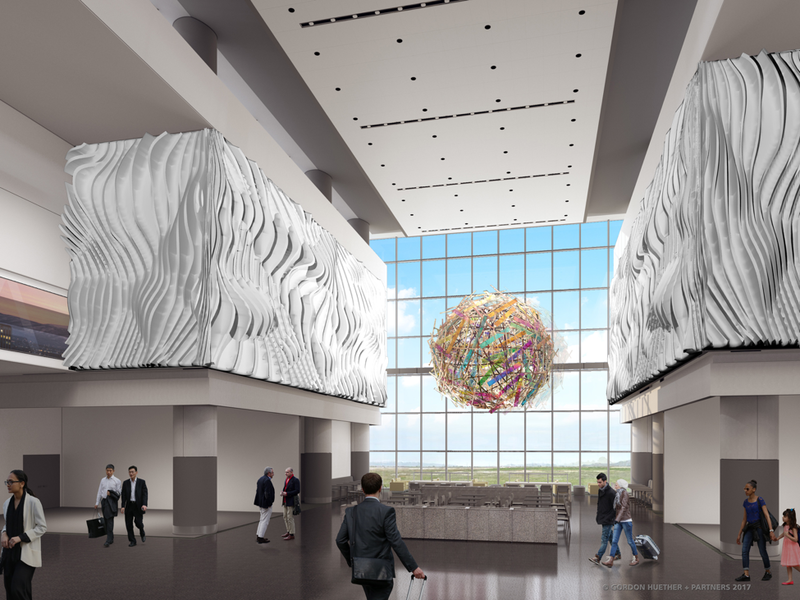 Construction for the now $3.6 billion Terminal Redevelopment Program at the Salt Lake City International Airport is about at its half-way point… and we are excited to share that Gordon Huether Studio has been engaged for additional scope and installations in the new North Concourse! The SLC team reached out and engaged Gordon to create significant installations for the new Concourse that would “tie into” the installations in the main terminal. As a result, Gordon and team are currently working on designs entitled Canyon 2.0 and Northern Light, which take inspiration and include design elements from The Canyon and The Falls, respectively. 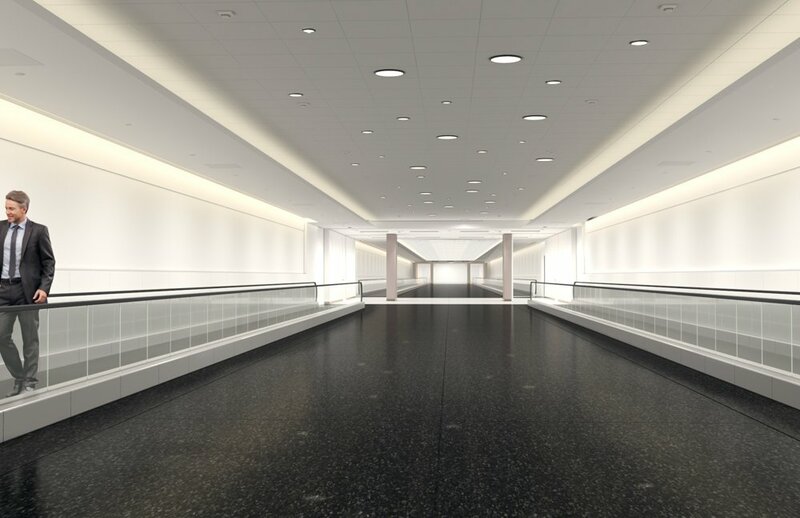 In addition to Canyon 2.0 and Northern Light, Gordon has also been approached by the Salt Lake City Department of Airports to create artwork for a new tunnel connecting the main terminal building to the North Concourse. The tunnel will be over 900 feet long and will include a shelled-in space for a future passenger tram. The tunnel is expected to be completed in 2024. Read a recent press article in Engineering News Record (ENR) Mountain State. For more information about the SLC project, click here.